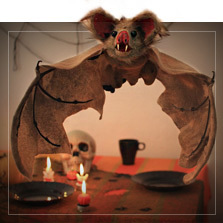 Transform your house into an authentic terrifying mansion with the best adornments and Halloween decoration ideas! 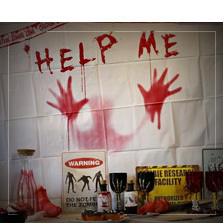 Would you like to invite your friends to a Halloween party and need the best Halloween ideas? 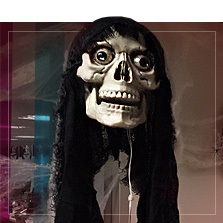 If you already have your Halloween outfit ready and like us, you take the scariest night of the year very seriously...you will not be able to be without the most original and horrifying Halloween adornments. 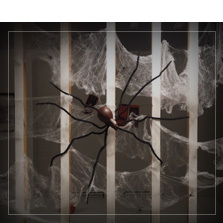 For one night, transform your beautiful home into an authentic mansion of terror with the scary decorations we have prepared for you. 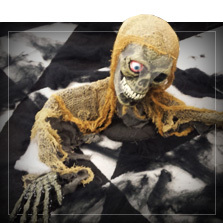 Decorative figures that come out of the floor, graves and tombstones to build your own cemetery, spiderwebs to give a more "creepy" look too every corner, bedroom and of course pumpkins!! What would Halloween be without pumpkins? 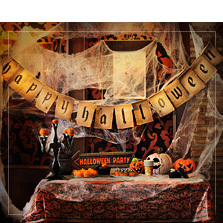 We have very original decorative pumpkins, with lights and sounds so that you don't even have to get your hands dirty. 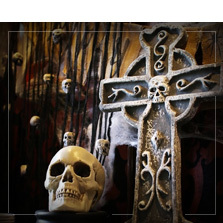 Buy your perfect Halloween house decorations from Funidelia and have a scary night! 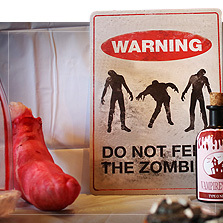 If you are looking for the best Halloween decorations, you are in the right place. 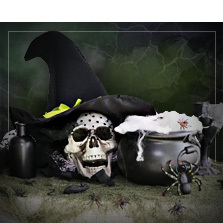 At Funidelia you will find Halloween adornments in any style and theme. From the most classic and discreet Halloween adornments like spiderwebs, pumpkins or bats to the most wild and gory Halloween decorations like vampires, zombies with tombstones for the garden, blood decorations for the windows, figures of assassins or zombies with lights and moving parts, terrifying signs which mark the way to your mansion of terror... Pumpkin garlands or with messages, big figures of characters from the cinema of terror, skeletons, rats, crows, spiders... (you can find coloured ones and even ones that glow in the dark) All the most authentic Halloween decorations for the scariest night of the year. 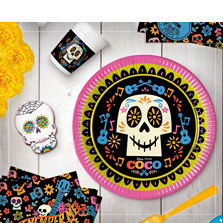 Not only do we have floor and wall decorations, but we also have Halloween table decorations. 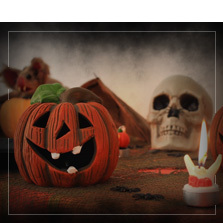 You can give your table a "Halloweeny" touch with our pumpkin decorations and some of our centrepieces and Halloween ornaments. 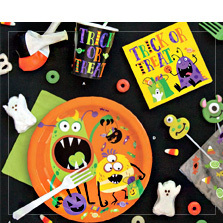 Plates, cups, pumpkin candles, pumpkins with lights, hanging garlands... Your guests won't stop screaming! !